"Sihirli Ağaç Evi" serisi Mary Pope Osborne´un 33 dile çevrilmiş ve milyonlarca adet satmış, uzun süre en iyi satanlar listesinde kalmış bir serisi! Seri, Domingo Yayıncılık tarafından dilimize kazandırılıyor. 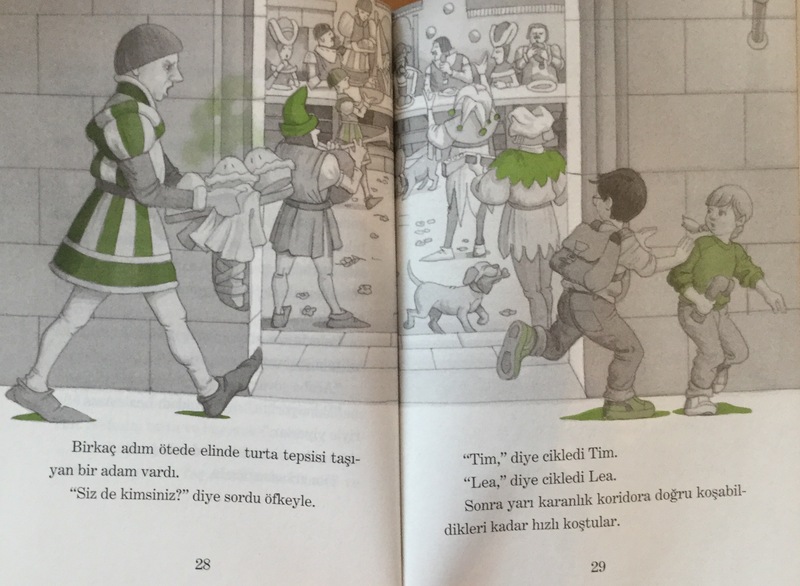 İlk iki kitabı Masal´ın voleybol antrenmanını beklerken geçen bir saatte yalayıp yutmuş olmam sanırım size bir fikir verir. 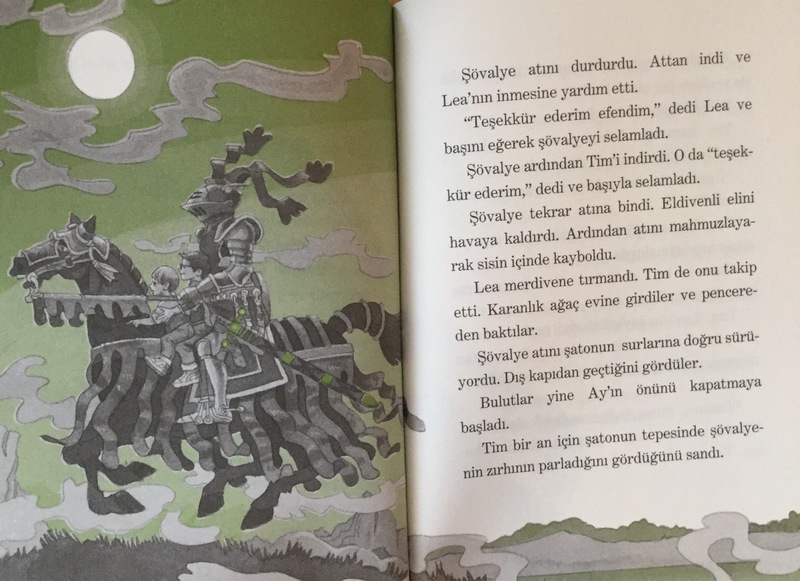 Seri, Tim ve Lea isimli iki kardeşin keşfettikleri içi kitap dolu bir ağaç evde baktıkları kitap sayfalarından dilediklerine gitmelerini anlatıyor.. Her kitapta ayrı bir diyara yolculukları var, ilk kitapta Dinozorlar Vadisine gidip bir T-Rex ile burun buruna gelip, ikincide ise Şövalyeler zamanına gidip heyecanlı maceralar yaşıyorlar... Ağaç ev kimindir kitaplar kimindir meçhul, bunu bulmanın yolu ise her kitapta verilen ipuçlarını toplamak.. Kitap renkli resimli ve 6-7 yaş çocuklar için hem uzunluğu hem akıcılığı açısından çok uygun. Kitap okumak istemeyen bir çocuk için bile biçilmiş kaftan, vallahi ben devam kitaplarını bekliyorum ipuçları için. 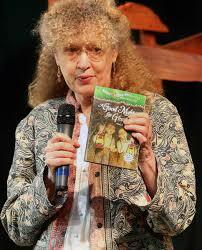 Mary Pope Osborne is best known for her Magic Tree House series. Osborne originally planned to write only four books for the Magic Tree House series. But after receiving letters from teachers and young students asking her to continue, she agreed to do four more. And then after writing these and meeting more young fans, she found herself immersed in the idea of continuing the series still further. To date, the series has gone far beyond these starting books, comprising 55 separate titles. The first of the Magic Tree House books, Dinosaurs Before Dark, was published in 1992. It introduces the main characters of Jack and Annie, a brother and sister duo of adventurers. With the help of certain magical books and their treehouse, the two are transported to places and times different from their own. The first book firmly established the mold for future adventures. It also introduced the recurrent Arthurian characters and settings of the series, which prominently included Morgan le Fay and Merlin. Morgan and Merlin serve as mentor figures for the kids, giving Jack and Annie advice as well as sending them off on new adventures. Osborne´s writing style is credited for the popularity of the series. Osborne tends to place small cliffhangers at the end of each chapter, which has been highlighted as one of the major reasons for the appeal of the books within their target age group. Another important factor in their success is the educational nature of the series. The books are cited for their historical and geographical accuracy, and Osborne’s usage of vocabulary encourages young readers to learn new words. In 2000, the first of the Magic Tree House Research Guides (otherwise known as “Fact Trackers”) was released. Furthering the educational purpose of the main series, these pieces serve as companions to the main line of books. Each Research Guide specifically details the information and research behind the history described in its companion Magic Tree House book. They serve as tools to help kids to want to learn more about what might otherwise be seen as a stale subject. The Research Guides are produced by Osborne primarily in collaboration with her husband, Will Osborne, and her sister, Natalie Pope Boyce. As with the other books, these companion titles feature illustrations done by Sal Murdocca. To date, 34 Research Guides have been published, in addition to and alongside the Magic Tree House books. In addition, the Magic Tree House brand has taken on other forms. A full-scale musical adaptation was created by Will Osborne; Magic Tree House: The Musical, premiered in September 2007. A planetarium show; "Magic Tree House: Space Mission", also created by Will Osborne, is produced and presented exclusively at the Morehead Planetarium in Chapel Hill, North Carolina.